Bryad Property Services - Painter/Decorator based in Purley, Surrey. I started T J Billson Professional Decorators in 2008 and have been a member of Checkatrade ever since. I decided recently to rebrand due to the company growing over the years and carrying out additional works apart from decorating and felt that the new name reflected this more appropriately. I have extensive knowledge and 19 years experience in all aspects of the Painting & Decorating industry within the Residential and Commercial sector and carry out projects throughout Surrey, South London, Sussex and surrounding Counties. We offer virtually dust free sanding/decorating by using modern mechanical sanders connected to dust extraction units. All jobs are carried out to the highest of standards with exceptional attention to detail to ensure a quality finish. 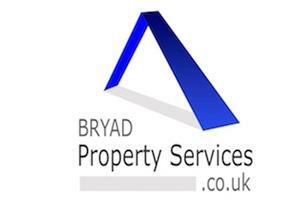 Bryad Property Services offer Free Advice, Free Quotations, and a Friendly & Reliable Service.